Feel so sorry for my bloggie because I didnt log in for quite some time d.
But I can conclude all in one - I am still alive! *yeah*.. This is NOT EASY kay cos really too many unhappy things happened throughout this few months. Anyway, today should be a happy day cos its V day. Although I am not a big fans of it because the retailers are using this to make big money! The food are expensive, the flowers are expensive, everything are expensive!! Baby tot wanna bring me to Victoria Station but it was being rejected by me cos I know the food is definitely gonna be very expensive.. I rather choose something else which are more worthy to eat! My expectation on V day? Well, to me is just another day. Same goes to new year! For me, the only celebration I cared the most could be my birthday! LOL! The rest, not really a big fans! .. M becoming more and more realistic and less romantic! Goshhhh.. 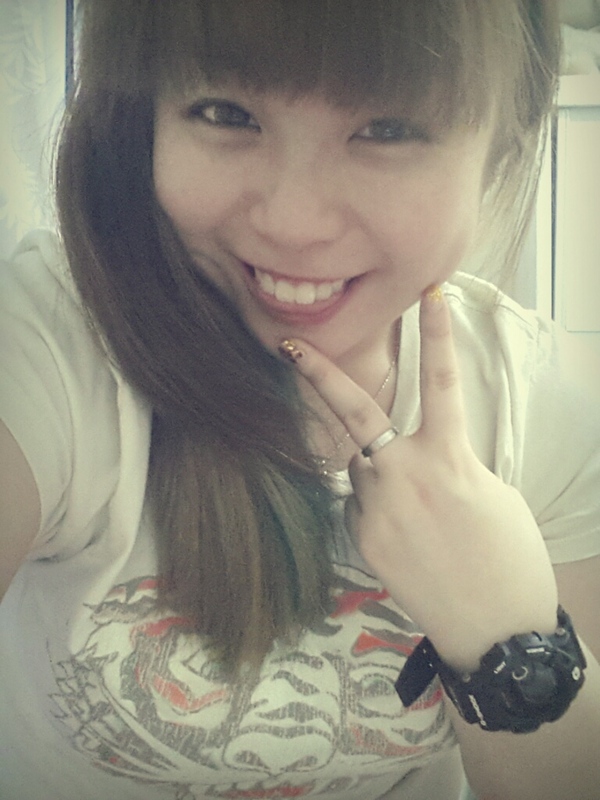 This is me as at 14022013 with a simple tee! I wish the love birds out there.. sweet sweet forever! I wish those who are single, happy single life and wish can get your Mr/Ms Right soon! Cant wait to log off from work now.